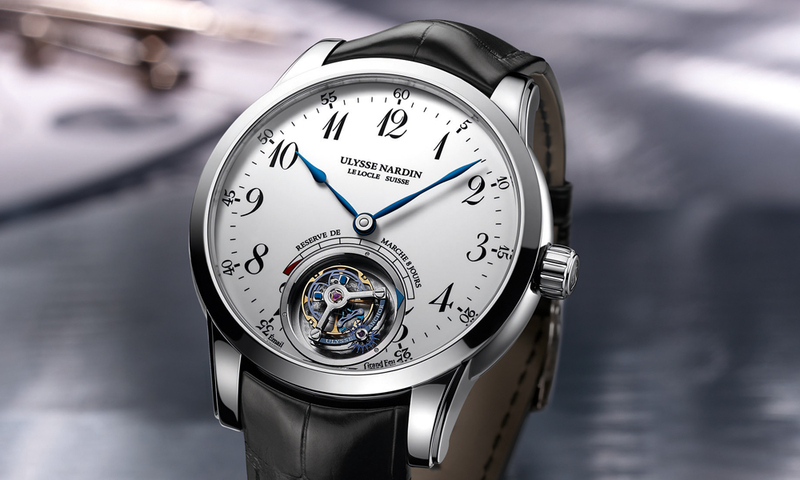 Swiss watch manufacturer Ulysse Nardin has announced that it will introduce the Anchor Tourbillon, a new timepiece for its Classico collection. 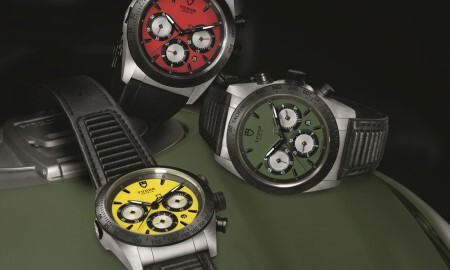 It will be released in two limited edition models. The new 44 mm diameter case of the watch will contain an in-house caliber UN-178 mechanism, which runs at a frequency of 18,800 vibrations per hour with 29 jewels. 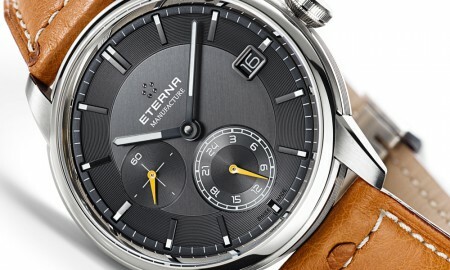 It will include hour and minute functions, whilst a power reserve indicator will also be on offer. Its case, which will be available in either white gold or rose gold, is complemented by a Grand Feu Enamel dial. It can be clearly seen through the anti-reflective sapphire crystal display. 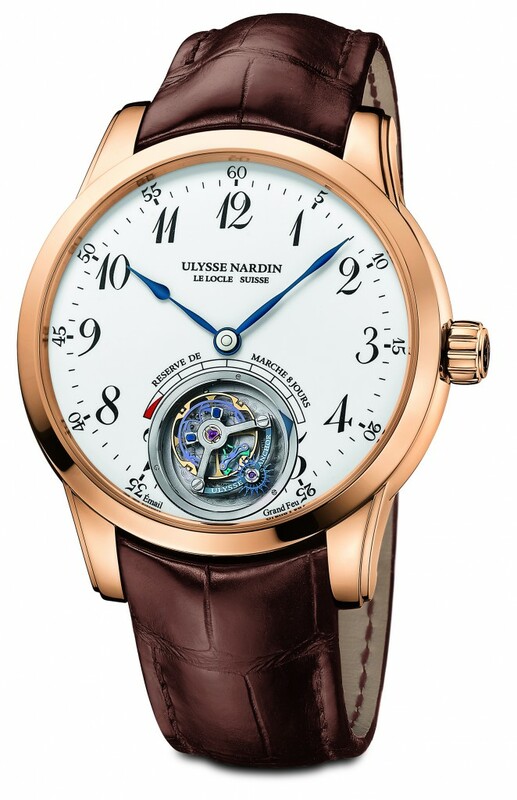 The caseback of the piece is see-through, allowing the wearer of the piece to see the very inner workings of the Tourbillon movement in its entirety. The overall design is complemented by a leather strap that is available in both black and brown, providing a constrast against the white or rose gold case of the piece. The Anchor Tourbillon boasts a minimum power reserve of seven days and is water resistant up to a pressure of 3 bar (30 meters or 100 feet). It has been confirmed that both models will be available in a limited availability, with the manufacturer set to release only 18 pieces of each version.